The project is not be lead by Beloit. It was Jennifer Esparaza's comment to me, which was the inspiration. She is writing about this in conference papers. But as a design anthropologist, I, Dori Tunstall, find it important to create the new images of possibility. The intent is to gather more images for an exhibition for if not this year's, maybe the next year's American Association for Anthropology meetings in which we can discuss the issue with publishers. If there is a gendered bias in images, it has to do with meeting the requirements of the original statement of "white women eating salad." It may be that since the participants were women, we were more interested in women's lives as the subject of anthropological inquiry, not gazing at women. Love the premise. I find it interesting though that every example of changing the anthropological gaze puts it onto women. Every picture is of a woman, a group of women, or a group of mixed genders. The gaze is about othering and it's still too hard I guess to other white American men as primary subjects. 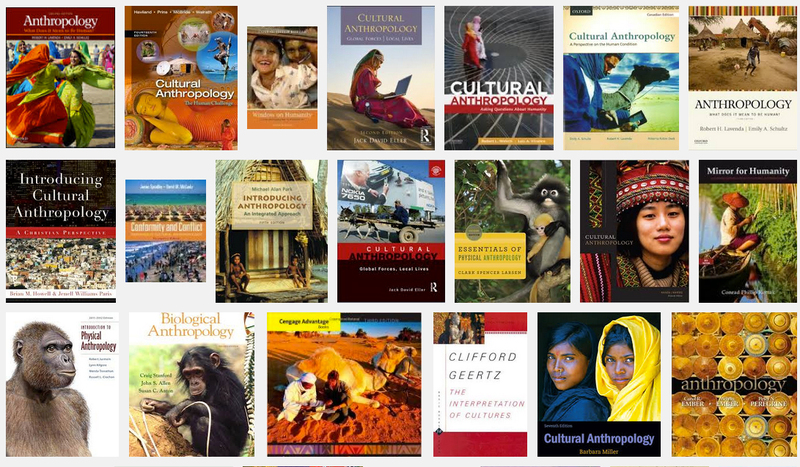 First off, props to Belwah -- leading anthropology education again! Second, I hope you can bring this project to the attention of the textbook publishers. In this age of on-demand printing, it would be great if a publisher could make both versions of a cover available, and then A-B test market them to our colleagues.